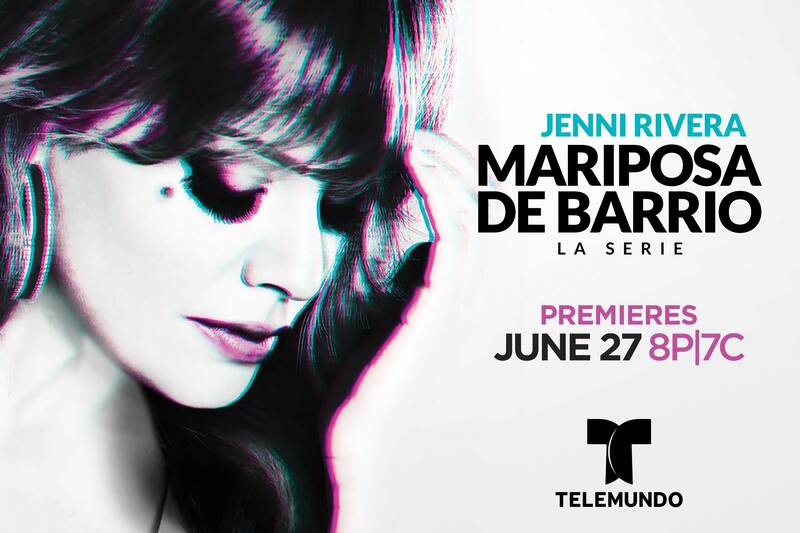 MIAMI, FL – June 8, 2017 – Telemundo announced the premiere of the series based on the true story of La Diva de la Banda, “Jenni Rivera: Mariposa de Barrio” on Tuesday, June 27 at 8 pm/7c. 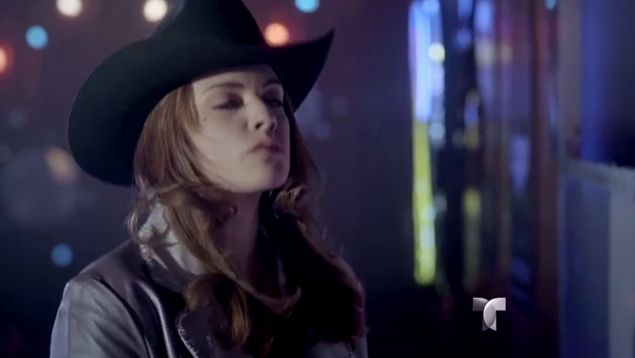 The series is the latest Telemundo bio-musical series and stars Angélica Celaya, Samadhi Zendejas and Gabriel Porras. Viewers can follow the story on Facebook at http://www.facebook.com/MariposaDeBarrioTLMD, on Instagram @MariposaDeBarrioTLMD and join the conversation via #MariposaDeBarrio on all platforms. 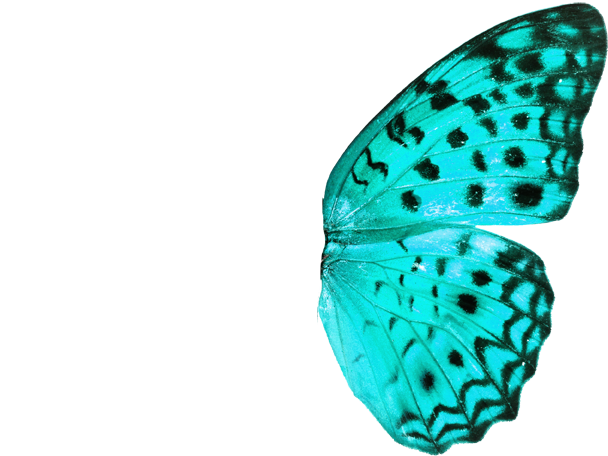 The highly-anticipated story follows superstar Jenni Rivera as she pursues her dream of fame; offering an autobiographical tale from her birth until her unexpected and tragic death. The series - based on her book “Inquebrantable” as well as on unpublished testimonies from her family, close friends and associates - explores her life as a daughter, mother, wife, lover and artist. 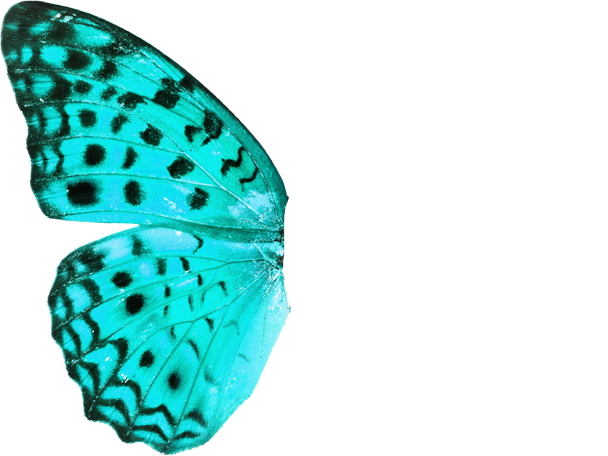 Written by Rossana Negrin, “Jenni Rivera: Mariposa de Barrio,” is a story that highlights the most important events in Jenni Rivera’s life and serves as a source of inspiration, optimism and empowerment for the Hispanic community in the United States. Besides being an altruistic woman, Jenni Rivera was a singer, composer, producer, business woman and single mother of five children, her life was filled with difficulties and tragedy, but she always strove to succeed for her family. Rivera was admired by millions for her strength, determination and honesty that characterized her. She sold more than 20 million records worldwide and was awarded 22 Billboard Latin Music Awards, 11 Billboard Mexican Music Awards and two Billboard Music Awards throughout her career. Her life was cut short in a tragic plane crash on December 9, 2012. The series also includes Regina Orquín, Rosalinda Rodríguez, Stephanie Arcila, Vanessa Pose, Uriel del Toro, Pepe Gámez, Adrián Carvajal, Kevin Cabrera, Julio Ocampo, Adriana Bermúdez, Braulio Hernández, Enrique Montaño, Emmanuel Morales, John Díaz, Adriano Zendejas, Anyel Maldonado, Noah Rico, Nicholas Forero, Xavier Ruvalcaba, Raúl Sandoval, Martin Fajardo, Mauricio Novoa, Orlyana Rondón, Luz del Sol Padula, Ana Wolfermann, Maya Idarraga, Paola Real, Dariana Fustes, Fabiana Lion, Samantha López, Kelaine Hernández, Tony Garza, Christopher Millán, Argelia García and Paloma Márquez, among others. For more information, visit nbcumv.com and follow us on Twitter @TLMDPR.